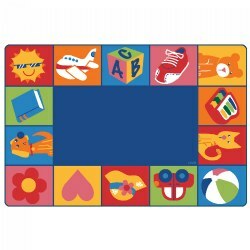 Little ones will love toddling around from block to block on this interactive play rug. Toddlers will enjoy pointing out each fun animal and learning the sound that it makes. 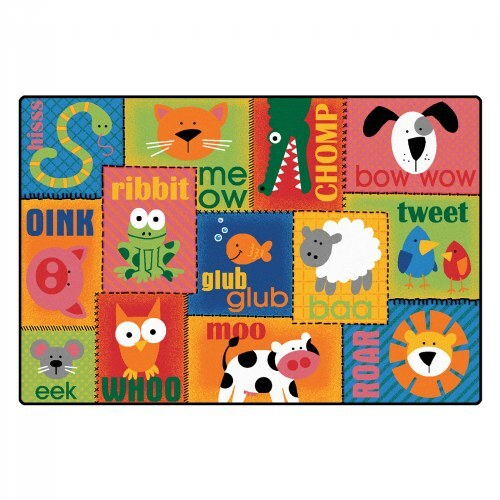 The thirteen adorable animals on this learning carpet will add life and fun to any kid's playroom or preschool classroom. Read our Insights and Inspirations article for a list of factors that can help you pick the right carpet or rug for your space from the various designs, sizes, and shapes available. 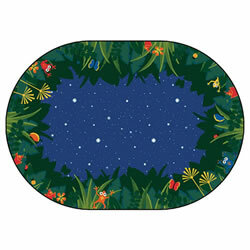 Love the animal sounds rug! 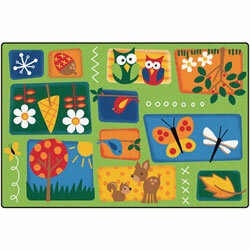 The rug is beautiful, bright colored with blocks, each with an animal and sound it makes. 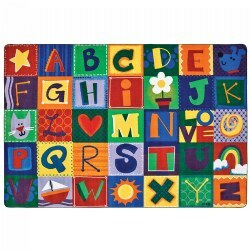 Perfect for a speech therapy room! !